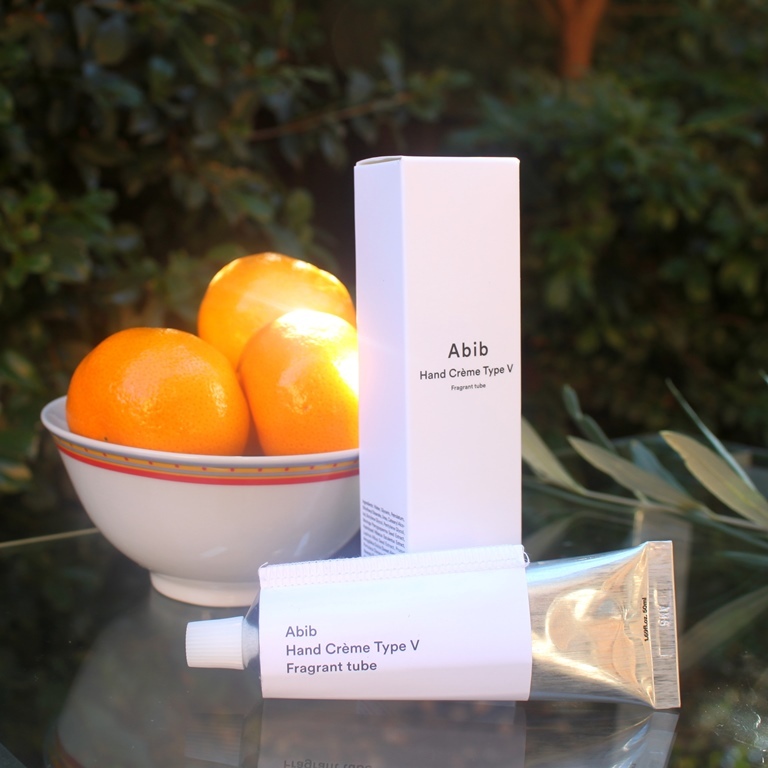 The Abib philosophy is to take skin that has been exposed to and suffered the effects of pollution and other stimuli and return it to a natural state. The Crème Type V focuses on the hands and is defined by a scent inspired by Vincent van Gogh. It starts off with a strong citrus smell which dissipates into a calming musk and sole (salty) scent. The formula’s moisturising and softening strengths come primarily from four main ingredients that complement each other perfectly. Firstly there’s those that are hydrophilic, characterised by their ability to attract water by absorbing moisture from the air. These are strongly represented by humectants, Glycerin and Urea. 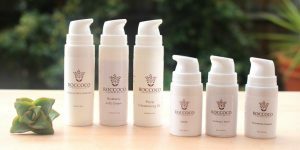 Secondly we have the hydrophobic ingredients, those that repel water and form a protective barrier on the skin. These include Petrolatum and Dimethicone. High in antioxidants, botanical extracts are added for their anti-ageing and protective properties, helping to restore skin and eliminate dullness. The cream is quite dense in consistency. It exhibits excellent spreadability and absorption, sinking into the skin rapidly. There is no oily, tacky or greasy feeling. In fact, once penetrated, there is absolutely no residue at all. However, the scent is extremely lasting and fresh, neither feminine nor masculine so definitely has unisex appeal. If you apply this cream every few hours, its aroma pleasantly lingers and its moisturising and softening effects are also retained between applications. It is suitable for all excluding those sensitive to fragrance. The cream can be purchased at Style Korean. A detailed review is available here. 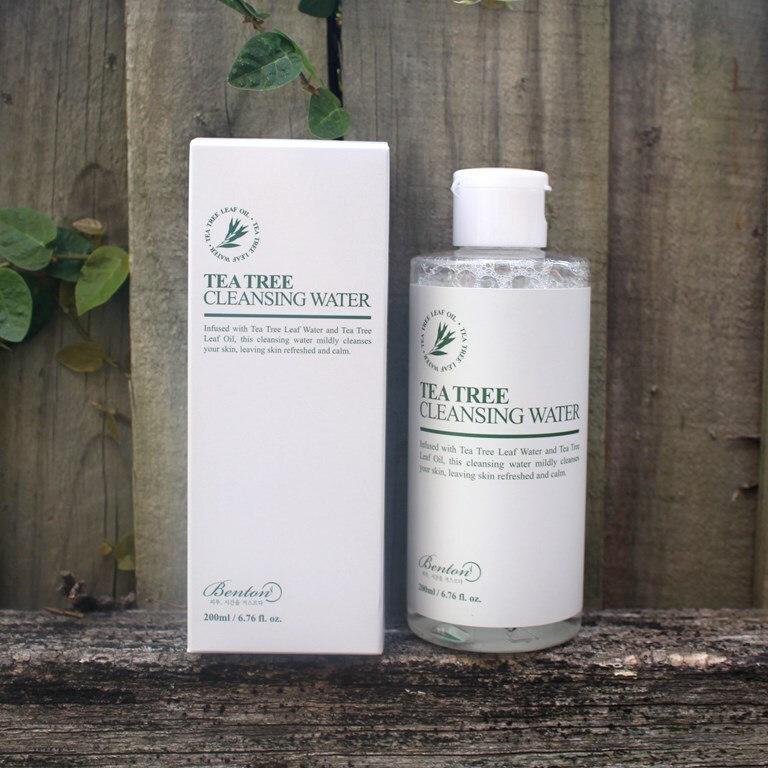 The Benton Tea Tree Cleansing Water is naturally-derived and said to give a refreshing and calming effect on tired skin while mildly cleansing. Tee Tree is an essential oil with a fresh camphor scent derived from trees native to Australia. Tea tree leaf water and tea tree oil are included at a combined concentration of 70%. Due to antibacterial, anti-inflammatory, antiviral and antifungal properties, tea tree is useful for healing skin conditions, studies showing it to be just as effective as benzoyl peroxide at treating acne but without the negative side effects of redness and peeling. Its ability to remove excess oils from skin by pushing out stale sebum deep within pores prevents blackheads and acne forming. Furthermore, natural astringent properties are also said to diminish the appearance of large pores. Other ingredients in the formulation contribute a calming and hydrating effect, all coming together in a safe formulation confirmed by ideal EWG and CosDNA reports. In trialing this product, I used it as I would a micellar water, to remove makeup and sunscreen as well as general impurities built up throughout the day. I applied this by wetting a cotton pad and swiping it across my face, avoiding the sensitive eye area. It feels very gentle and the medicinal scent is reassuring. I was instantly impressed with how well this water removed my surface makeup. There was no need to rub or apply firm pressure. It simply lifted. Even long stay lipsticks just disappeared with a minimum of effort. As a morning cleanser, it performs equally well. Oils and general impurities that may build up on the skin overnight are easily, gently and effectively removed without the skin feeling stripped or dry, an observation supported by an ideal, slightly acidic pH. The oil control contributed is refreshing and instant, making this the perfect solution particularly for those with oily, acne-prone or combination skin types. 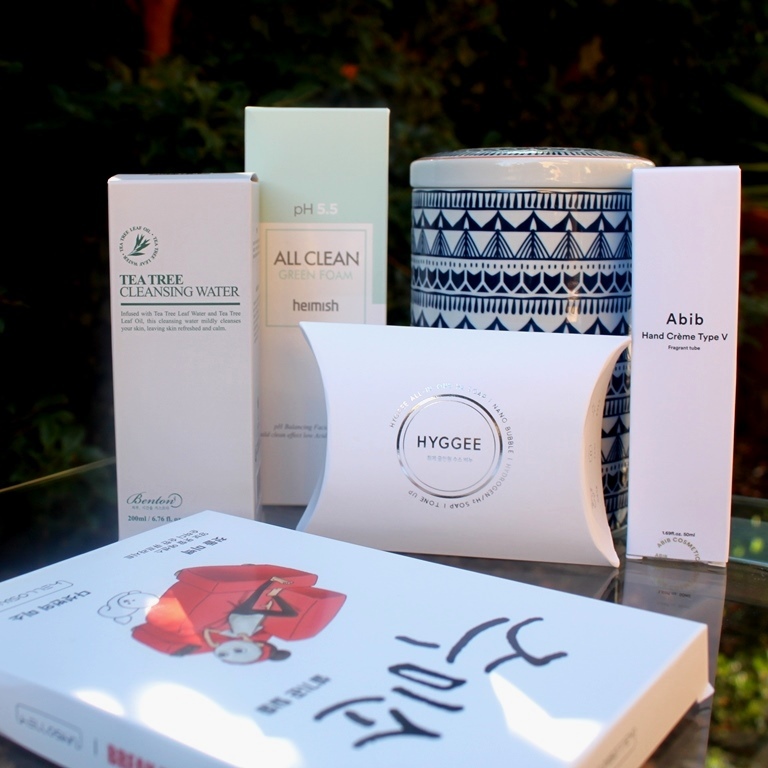 The cleansing water is available from Style Korean. A detailed review is available here. The Heimish All Clean Green Foam is a gentle gel cleanser made up of a relatively short and safe ingredient list as confirmed by ideal EWG and CosDNA assessments. Cleansing agents combine with powerful humectants to deliver a gentle, effective clean, leaving skin feeling soft and moisturised. 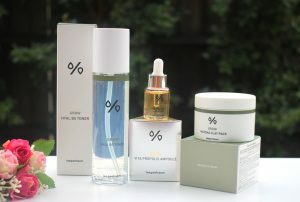 The ideal pH of 5.5 ensures the skin barrier is not comprised and skin is not left dry or tight. These effects are complemented further by the calming and anti-inflammatory properties of Centella Asiatica Extract which has proven capable of fading acne scars while the astringent nature of Witch Hazel Water makes it effective at balancing facial oils and minimising the appearance of pores. 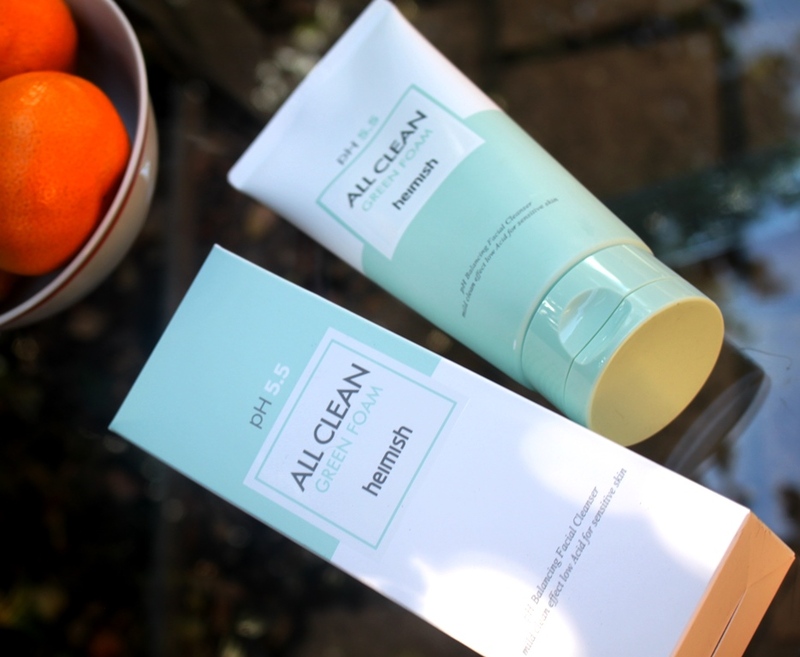 I have been using this as a first cleanse in the morning and second at night, following the brand’s All Clean Balm resulting in a highly satisfying double cleanse. The gel is viscous, glossy and cloudy. I love that there is no added fragrance and negligible scent from the composition itself. I apply it to a dampened face to generate a soft, satisfying foam with circular motions. It easily rinses off to reveal clean, soft and moisturised skin. The cleanser is particularly suited and marketed to those with sensitive skin but I think it would suit anyone. As it is not drying, it would be wonderful for mature and dry skin types while the acne and oil control properties it exhibits also make it an ideal choice for those struggling with an oily complexion. The cleanser is available from Style Korean. A detailed review is available here. There are a load of ingredients in the essence of the Jumiso First Skin Lightening Mask to promote a lightening effect. First and foremost, the powerful yet well tolerated Niacinamide (Vitamin B3), which works by inhibiting melanin production. Collectively, Swiss Alpine plant extracts come together to form a compound known as Gigawhite. Gigawhite has been shown to effectively treat hyperpigmentation, dark circles, age spots, sun damage and also deliver general skin lightening. A host of other natural, antioxidant rich extracts support these functions. Noteworthy is what HelloSkin refers to as the Red Berry Complex. Due to high water volume, it both hydrates and flushes out toxins for vibrant, clear skin. Rich in omega-3 fatty acids, saturated lipids, vitamins, minerals and amino acids is Salmon Roe. It too exhibits high water content to help deliver hydration, other properties helping to prevent dullness and dryness for improved skin tone and texture. The mask also incorporates several humectants for moisture, ceramides for their replenishing and water-retention capacity plus antioxidant Vitamins C and E for brightening and skin barrier strengthening. The mask is soaked in essence and adheres well to the face. A light mesh backing helps to keep it in shape, intact and assists with easy application. There is an instant cooling effect that lasts throughout even an extended wear time. As it is comfortable and soothing to wear, I tend to keep it on for twice the recommended time of 15-20 minutes. The essence melts into the skin to reveal a refreshed and brightened complexion as promised. My skin feels bouncy with hydration and looks plump and healthy. The mask pack is available from Style Korean. A detailed review is available here. Often used for medicinal purposes, there are several plant oils and exotic Asian botantical extracts in the formulation of this soap including Coconut Oil Powder, Raisin Seed Oil, Avocado Oil, Omija Berry, Caster Oil, Licorice, Bamboo Salt, Sophora, Mung Bean, Goldthread and White Lotus. The oils provide moisture via fatty acids and strengthen the skin barrier while the extracts contribute antioxidant, anti-inflammatory, antibacterial and soothing properties to benefit acne prone and inflamed skin. Humectants such as Glycerin are included to address hydration. 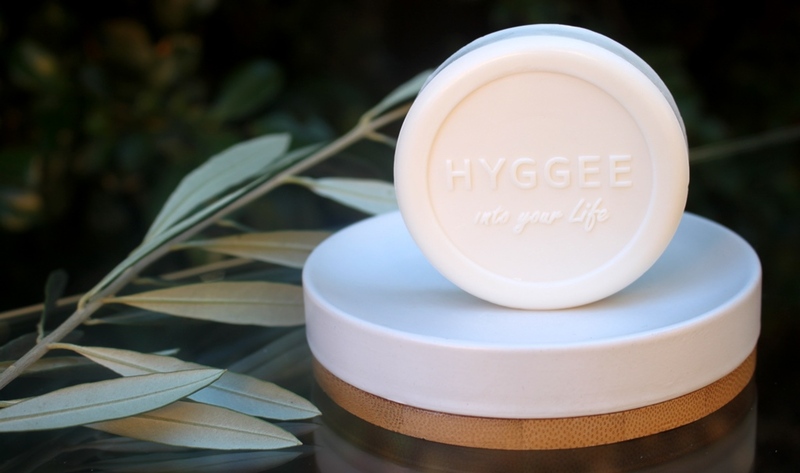 The Hyggee All-In-One H2 Soap has a pleasant, gentle and light scent which remains throughout application, dissipating upon rinsing. It reminds me of grass and herbs. Where normally you apply a cleanser to a damp face to generate a lather, this soap doesn’t actually come into contact with the skin, rather the lather it generates is applied to the face. As such, it delivers the softest, lightest cleansing experience to reveal clean, refreshed skin. There is a slight tightening sensation which indicates that the product is a little drying, confirmed by repeated pH tests returning alkaline readings of around 8.0-8.5. However, given the ingredients are strongly geared towards acne relief, the small amount of hydration lost could be compensated with an additional hydrating layer/serum. It’s not perfect but I believe the condition itself is more of a concern than a very slight drying effect. The soap is available from Style Korean. A detailed review is available here. The Style Korean Clover Set combines innovative technology with carefully considered ingredients to deliver an effective and gentle skincare package. A choice of cleansers detoxify the pores, effectively remove impurities and prepare the skin for the nutrition to follow. The mask replenishes and brightens the face while the cream pampers the hands. The Glowing Clover Set was provided to me free of charge by Style Korean for review. This post only includes my honest opinion and experience of these products and is in no way influenced by Abib, Heimish, Helloskin, Benton, Hyggee, Style Korean, any of their representatives or any other third party.